TFC nabs two awards at the 47th Annual Northern California EMMY® Awards held recently at the SF Jazz Center. 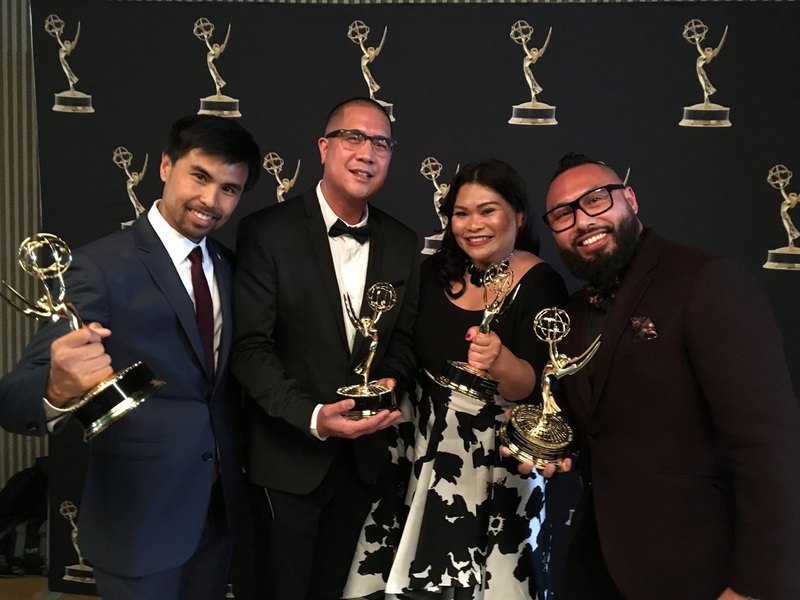 TFC bested KTVU Fox 2, KRCB in Sonoma County, and Hawaii News Now (KGMB) when “Box City,” an original Balitang America documentary, won in the Public/ Current/ Community Affairs – Program/Special – English category. The documentary tells the story of homeless Filipinos, who built their small homes made of cardboard and plywood, living in an encampment they call Box City. Box City was produced by the same team behind the EMMY® award-winning documentary “The Filipino Champions of SOMA,” that won the regional EMMY® for the same category five years ago: Overall In-Charge of Production Olivia De Jesus and John Lazatin; Producer, Writer and Host Henni Espinosa; Director of Photography Jeremiah Ysip; Editor Jon Santos; and Graphics Artist Mike Carrion. Patrick Luna was asked on board to provide drone shots and additional video. BA’s Assignment Editor and Senior Correspondent Henni Espinosa won as On-Camera Talent – Program Host in the English category for her work in Box City. The National Academy of Television Arts & Sciences (NATAS) is the premier and most recognized non-profit organization dedicated to the advancement of excellence in television. The San Francisco/Northern California Chapter of The National Academy of Television Arts & Sciences was chartered in 1961. It is dedicated to the advancement of the arts and sciences of television and the promotion of creative leadership for artistic, educational and technical achievements within the television industry. It recognizes excellence in television with the coveted Emmy® Award.